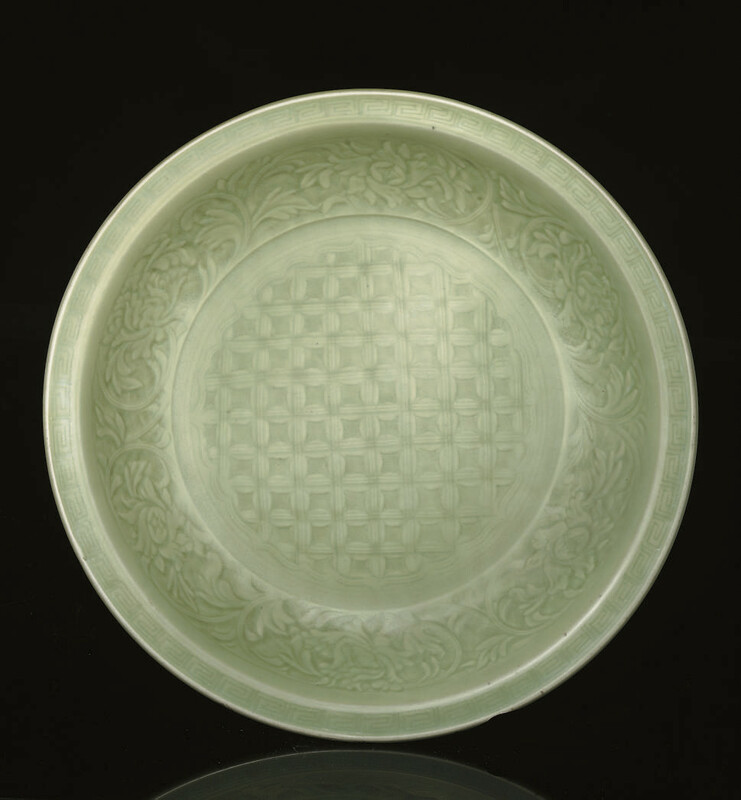 the wide central roundel incised with a trellis pattern within a foilate edged border, rising to a wide cavetto with peony blossoms and scrolling leafy foliage, the flattened rim edge with a panel of geometric key-fret motifs, the curved exterior edge with similar scrolling peony, covered in a thick olive glaze -- 20in. (50.8cm.) diam.